Our AWM range of fully automatic 3 axis servo controlled PLC multiple wire coil (flyer) winding machines are capable of coil winding many wires in parallel for example the sample you can displayed was wound with 18 wires in parallel of 0.71mm. The 3 axis high precision Omron servo motor controlled system maintains high accuracy and repeatability for the flyer rotation and positioning, component indexing and all coil winding tooling movements. Touch screen technology is supplied to make setting up and programming different specifications very easy for the operator. Stators or rotors can be processed and either be manually loaded onto the support tooling or automatically loaded by a pick and place system. 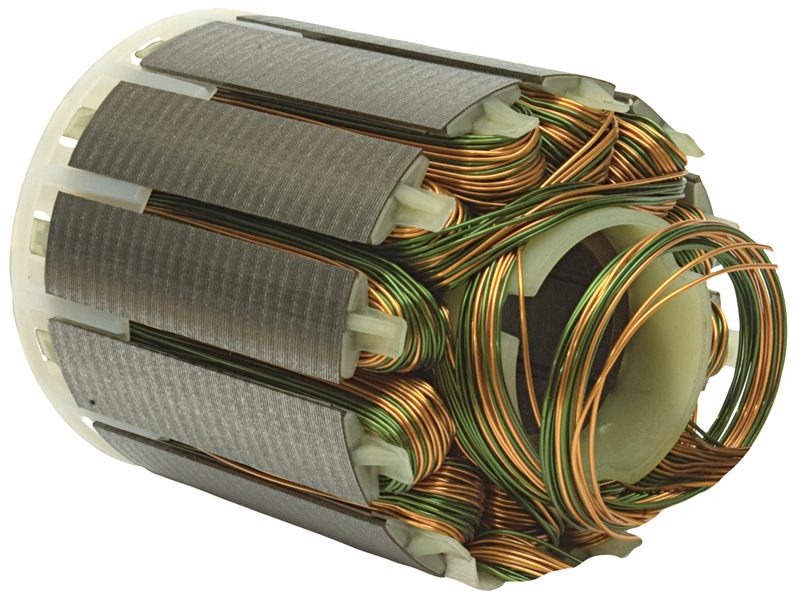 Each copper wire is individually tensioned and compensated to ensure that high quality tension control is maintained for every stator or rotor processed through the AWM coil (flyer) winding machine. The coil winding machine tooling has been designed with robustness in mind to give a long wear life. It is also very simple and quick to make tooling changeovers for different stator or rotor laminations. 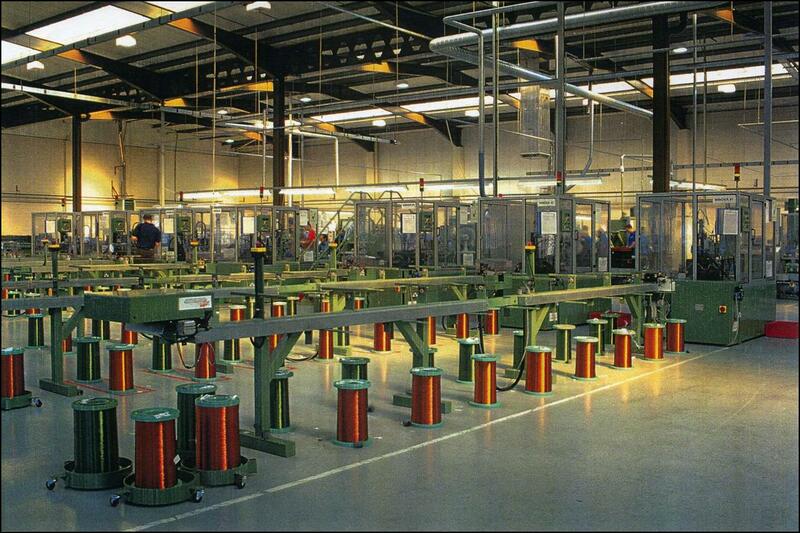 Fully automatic turn key coil winding lines can be supplied.